For this week’s featured artist I am excited to welcome the talented Lisa Williams of Lamanda Designs. Lisa along with her partner Amanda Kressler have an adorable shop full of custom paintings and beautiful sewn bags. 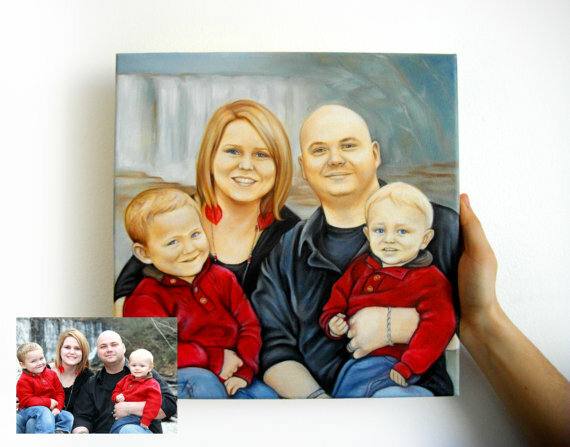 All of Lisa’s work is custom-made from photos from her customers. She has yet to find a photo that she can’t work with, and she loves new and creative ideas that people come up with! 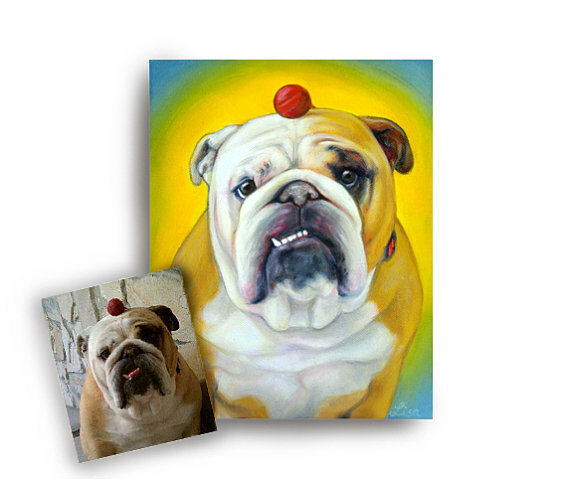 As someone who has trouble drawing stick figures, I was blown away by how lifelike Lisa’s paintings of pets and people are. Lisa is originally from Sydney, Australia and was recently overseas in America designing, making, and selling her work from Boston, MA with her partner Amanda. Prior to that, she was in Savannah, GA where she received her BFA degree in painting from the Savannah College of Art and Design. Amanda is a Massachusetts native who received her BFA in furniture design from the Savannah College of Art and Design. She manages the marketing and research aspects of the small business and also creates the sewn products. She enjoys working with her hands and creating whatever she can. How did you get started doing watercolors and making bags? My partner Amanda and I began our crafting business after graduating from college at the Savannah College of Art and Design. We stared by doing local craft shows before the holidays and with success, we decided to go full time into a small business on Etsy. We focused on our best selling items from the craft shows, which were bags at first and then watercolors. Etsy gave us the ability to really cater to our customers and provide custom portraits, and this has now become our main business. My favorite part about having my own business is the flexibility and the requirement of passion and self motivation. You must be incredibly self-motivated to maintain a successful small business, especially in the field of fine art. This is where it can become challenging. The products that we have chosen to create and sell are not necessities, no fine art is. We have had to develop marketing strategies that make our customers WANT to buy our work. Art has always been a large part of my life, and I have always had a creative mind that is constantly thinking of new ideas, designs, and things to create. 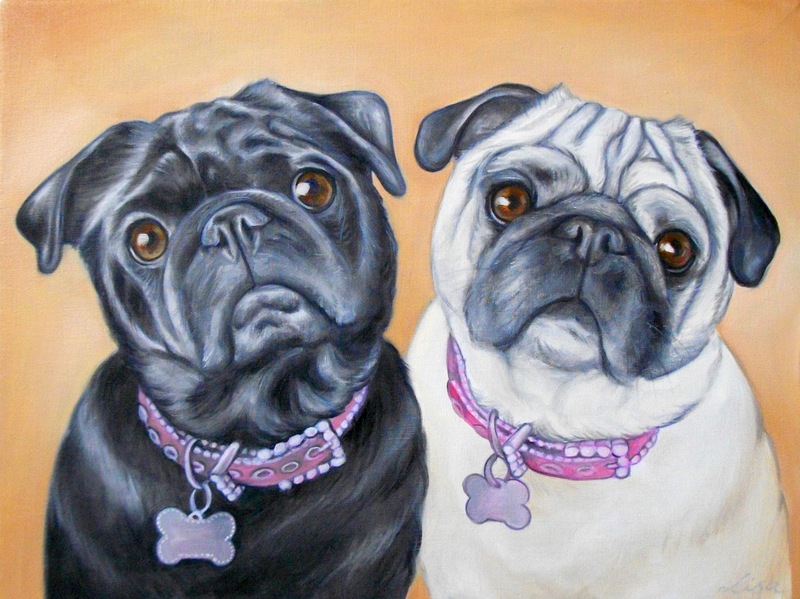 I especially enjoy, and have always specialized in, painting portraits of people and now pets. My grandmother is an amazing watercolor artist herself and I think growing up having her art on the walls really inspired me. I think that our customers, and all buyers of handmade products, are motivated by the hard work that is put put into the piece that they are buying. I also believe that they respect and want to support the talents of crafters and artists like myself. A tradition that my partner Amanda and I have is that we get a caricature portrait done in each new place that we travel to. We have a nice collection of them that we have since framed and these are our favorite handmade pieces that we have. It is just so interesting to see how someone perceives you within the few short minutes that they draw your portrait, and that we love. When you are not painting or making bags, what do you like to do with your time? When I am not catching up on my orders or stocking inventory, I enjoy traveling, playing sports, and renovating. My favorite is finding old or used pieces of furniture and refurbishing them into newer and more modern pieces for around the house. 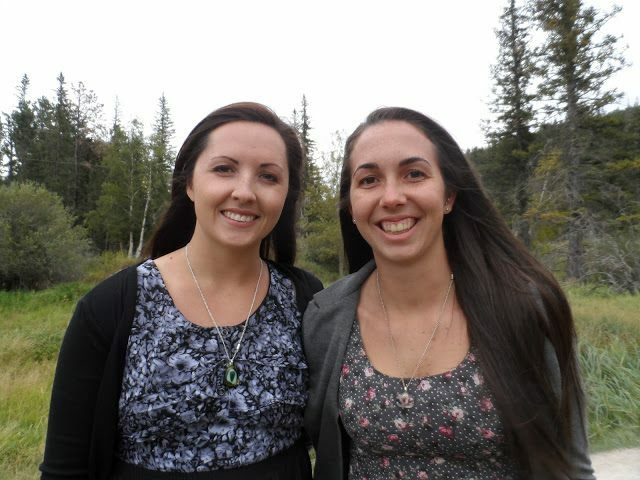 Some people may not know that both Amanda and I played softball at the collegiate level! That is actually how we met. The Savannah College of Art and Design is and amazing art school that also has the option of very competitive sports. They play in the NAIA league and we both played for the softball team there. In order to succeed with a creative business, you must be willing to work hard, have dedication, and love what you do. Thank you for joining me on my blog, Lisa, and be sure to check out Lamanda Designs!